16” Oregon Bar and Chain cuts up to 30” logs. 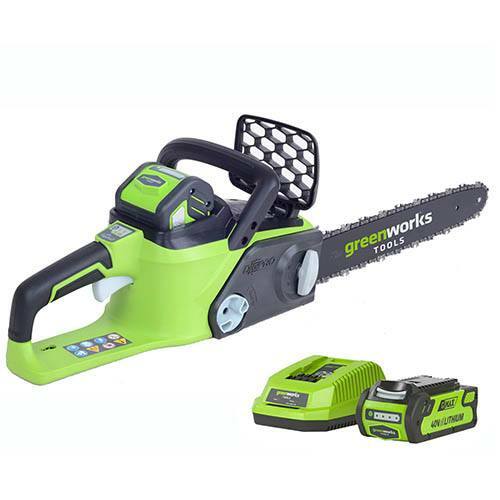 Practical, convenient and lightweight Litium-ion battery operated chainsaw. The instant start switch contributes fast, uncomplicated handling and low noise levels let you work without upsetting your neighbours so perfect for residential areas.